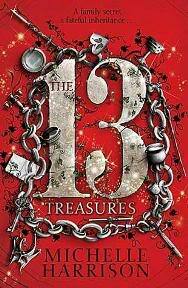 Last week, Thea and I posted our joint review of The 13 Treasures ,the first book in the 13 Treasures Trilogy by Michelle Harrison. We both loved that book and as Thea so aptly said, this series has “IT” and I immediately set out to read books 2 and 3 and I loved them too. The series is composed of 3 books: The 13 Treasures, The 13 Curses and The 13 Secrets. The first two have been published in the UK and the third one hits shelves on Feb 3rd (but only the first one is available in the US so far). Basically, it follows three main characters, Tanya, Fabian and Red in their dealings with seriously vicious fairies. The books are more plot-driven than character-driven and even though I prefer my books to be the latter, I had no problems with this because the characters are awesome. In book 1, Tanya discovers a few secrets about her family (which is interconnected with Fabian’s) when staying with her grandmother at Elvesden Manor. The resolution of that book heavily involves a secondary character, another girl nicknamed Red, who had been looking for her younger brother who was taken by fairies who were involved with changeling trafficking. Book 2 effectively makes Red the main character of the series as it takes up at the end of book 1 and it deals with What Happened and book 3 is about consequences and mysteries After What Happened in Book 2. I am being all mysterious and brief on purpose as the series has many, many mysteries to be unveiled and I don’t want to spoil them and this is why I decided to write about the series in a spoiler-free overview. Reason The Second: The Mysteries Even though all books are connected (by way of characters, setting and Consequences), each has its own contained mystery that needs to be unveiled: a murder, a kidnapping and disappearances. The three kids go about to solving them on their own (and with good reasoning) and all of them are not only interesting but well executed too. Reason The Third: The Secrets The world in this series is full of secret things. Sometimes this can be really frustrating for the reader because WHY can’t people just be open with each other? But this frustration is brilliantly reflected in the story as Fabian at one point says that everything that is happening to them is because people keep so many secrets. But dudes, the TWISTS. They are good. Reason The Sixth: Secondary characters The three main adult characters who are related to the three kids play major roles at different stages of the story. There’s Fabian’s father Warwick who plays a major role in book 2; Red’s aunt Rose who plays a major role in books 2 and 3 and Tanya’s grandmother, Florence. I loved how at the end of the series, there is a major showdown and everybody takes part when up until that point it had almost been a adults x children dynamics: the adults pretending nothing is wrong, the children pretending they did not know. The ending shows how the adults have learnt (sort of) to trust the children not only with the truth but also to take care of themselves. It’s awesome. Reason The Ninth: Consequences This is one of my favourite things about the series. That every single action has a consequence and it doesn’t matter who, why or when. The entire plot of books 1 and 3 are basically dealing with consequences of one’s actions. Reason The Tenth: The Changeling Trafficking The theme of children swapped by fairies and replaced with a fairy child (sickly or unwanted) or even with a figure made of sticks is known in western folklore and many books deal with it. I loved how the author took the basic theme and constructed an entire mythology around it, including a whole system of trafficking, of buying and selling and stealing. Interesting, that sometimes the exchange might happen without the fairy family even knowing or wanting it and how there is a group of people formed by both fey and humans that deal with it – trying to fix the exchanges. Going back to the idea of consequences, sometimes this can go awry; sometimes the fey culprit is caught and judged and sentenced and the consequences of THAT to his family is awesome and it connects beautifully with another mystery pertaining to the main characters. Reason The Eleventh: The Relationships This is a series that relies on strong bonds of love and loyalty. Mistakes are made, secrets are kept by the adults but clearly, everybody does so with good intentions. Plus, the bond of friendship that forms between Tanya, Fabian and Red is pretty cool too. Reason The Twelfth: The Crossover Appeal This is a series for children and I think children will love this but it also has great crossover appeal for adults – as evidenced by our own reaction. Reason The Thirteenth: Red I saved the best for last. Red is by far my favourite character, she goes through SO much, has to grow up so fast, has many difficult decisions to make, and she makes them and has to live with the consequences (again, I am back to this) of her actions. Many times, I was close to tears because of this character. She is fierce, she is resourceful and she is TOTALLY AWESOME. Red for the win. So these are the 13 reasons why I love this series. I finished the last book and its bittersweet ending with a little bit of sadness to see them go and I hope the author goes back to this world at some point. I know I will be there. Well, I have been looking for another wonderful series to get passionate about and this one looks like it just might be it. It’s a little bit of a bummer that only the first one is out in the US (where I live), but I guess you have got to start somewhere. I’m sure that the next two will follow shortly. i loved the book!it was soooooooo cool!!!!!!!!!!! I have only read the second book but I LOVED it! Can’t wait until I read the other two books! I just started it, and I just finished the first chapter! This series was… I can’t even find words for it. I cried, laughed, silently screamed (sometimes not so silently), and I always loved each and every chapter, devouring one after the other. Tanya’s point of view was great, but Red’s, hers was magical. Having so much dumped on her at a young age, growing up all too quickly, and then facing her past. Consequenses, I must say, just about sums up how the books each get their plot. I finished the final book last night, and I cried. The epilouge does not suffice for me. What happens after all that is what I wanted, not a bittersweet end giving no direction to what happens. What becomes of all of them? This is my only problem with the books. Overall, it is one of the best series I have ever read. I loved these books laughed, cried, jumped up and down, gasped, screamed I knew it, and well you get the point. I wish and hope the author makes more books. It was completely magical, but I’m a bit disappionted with the epilouge because it never gave me insight. Like does Sparrow marry Rowan? Does rose and warwick end up together? love the 13 treasures trilogy. 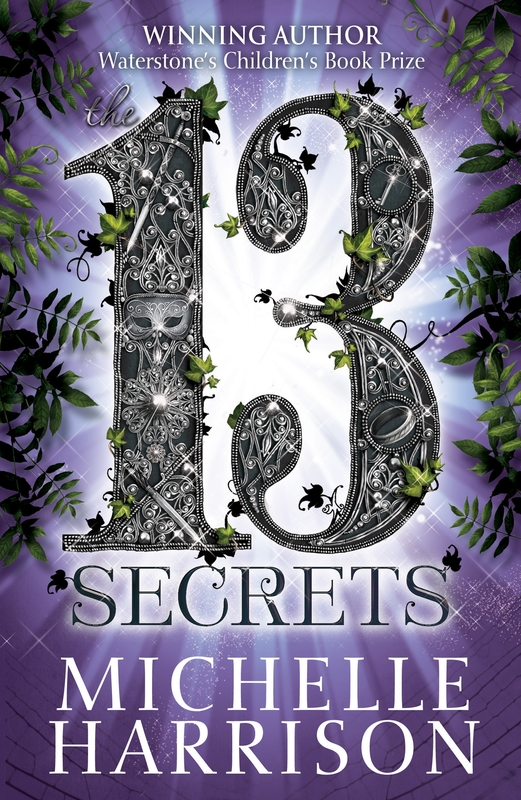 Hope Michelle writes another for the 13 treasures trilogy. I kinda liked the first book better than the second but I can’t get the last book where I live so can someone tell me what happens to James? I think the book is so confusing because I have read it for ages (finally finished) but I still don’t understand, can someone tell me what’s happend!!! I would like to encourage all the young readers to read this stunning collection of books which will definitely engulf you in an imaginery world beyond fairies and magic!!! 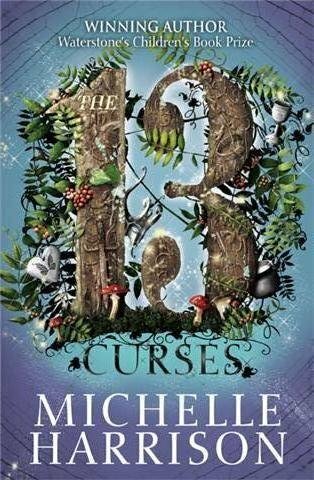 I also love that michelle Harrison put so much effort in this book I love the book and the arthor. I love this series, it is a shame that not many people have read it. It was just sitting on the shelf when I found it gathering dust. Which is sad. I fangirled so much during the last book. 🙂 No seriously, I did it so much my dad is sure i’m crazy. Yes, Sparrow is awesome, no explanation needed. The 13 treasures trilogy is incredible! It was definetly a great series. The characters were so real, they had different personalities and thoughts, it was great! Also I loved the fantasy and how you turned fairies from a good thing to mostly a bad thing. I think it was incredible on how you did that, because when ever someone thinks of fairies they think of flying happy creatures. But you definitely changed that point-of-view by saying they ate mischievous and tricksters! Just every thing you did to the book was great and very creative. I thank you for giving me a pleasure on reading. I was never a reader, and I still don’t like reading, but I actually enjoyed this series. I would actually wake up in the morning and be excited to read. And if you have any other book series I would love to read them, because this series was extraordinary! I wouldn’t say the writing style and the characters was that memorable, but what made the books in the series (I’ve read two so far) enjoyable for me was the way the fairies and changelings were portrayed. I found that very interesting. Anyone got recommendations for similar books?